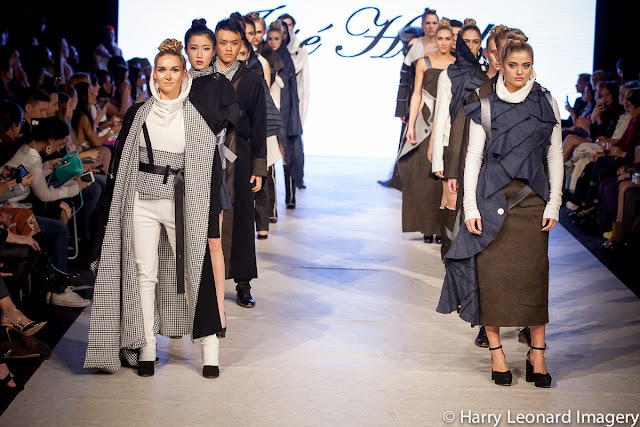 In March 2015, I found myself in awe as I watched the very architectural Vancouver Fashion Week (VFW) show by London based designer José Hendo. For the next two days I tried to find her both by myself and with the help of VFW volunteers. It was not meant to be. While we connected and kept in touch through Facebook, what I really wanted was a chance to sit face to face and hear her story. Then I learned the designer was not only going to show this season, but was coming a day early to make time for us to have that interview before the chaos began. Amazing. I could not have been more excited. We did a little driving tour of Richmond, had lunch at my home and then sat for over an hour while she shared her story with me. I declared her my Warrior Woman sister as she is a powerful woman who knows her mind, has strong convictions and lives them fully. Because of this interview, I was privileged to hear just a bit about the collection she was set to show. Her beloved father passed away last summer, a man who had a huge influence on her life. This collection was created in his honour. It is masculine, but with touches of the feminine to show how his influence has come out through her. It had that same very architectural aesthetic that I loved so much last time, but was perhaps just a touch more conceptual than the last I saw. While the garments were all wearable, Hendo's collection was purely and simply fashion as art. It had such a strong emotional impact on me that tears welled up as I watched. I want to first offer you a bit of information from her press release. That is followed by a great Q and A so Josephine (yes that is her birth name and I adore it) can share about her passion in her own words. Enjoy! "‘José Hendo’ takes a fresh approach to contemporary fashion design, challenging the obsolescence nature of fashion, and the throw away culture...It uses eco-friendly fabrics as much as possible, creating unique one-off pieces, from organic barkcloth, cotton, hemp, used garments such as suits, denim, wedding dresses etc. ‘ José Hendo’ promotes the use of organic, eco- textiles and recycled materials. She supports ethical trading, fair working conditions and raising awareness about the environmental issues affected by the fashion industry. Their garments are designed to flatter all body shapes, the designs are contemporary, edgy, tailored, timeless pieces. Their bespoke garments are made for any occasion and existing garments are also re-work (revamp) to give the customer a different or updated look. Currently there are eight collections produced under the label, inspired by the Jose’s African background, sculpture, and nature to create timeless pieces...The designer's keen eye and attention to detail, together with her character as a perfectionist, can be seen in the quality of the work produced." 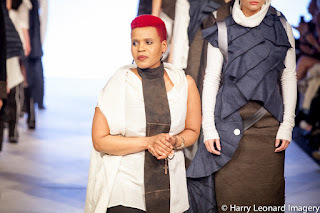 Please share a little bit about your journey to becoming a fashion designer. I started making clothes by playing around with creating costumes for my dolls when I was 7 to 10 years old. It was very basic, no stitching involved - just wrapping around and tying. I used scraps from what was left over from my mother's tailoring. By twelve I had learnt how to use a domestic sewing machine and could stitch in a straight line. I used to revamp used clothing to create my own unique style in high school, cutting trousers to make peddle pushers or taking a lining out of a skirt to make a top. I wanted to do fine art, but my A- Level art results went missing and I couldn't continue with it at university. So I had to rethink my dream. So I went to Paris Academy to study fashion. I did three years of learning the foundation of fashion from making patterns to garment construction. I worked in the garment industry then moved onto self employment in the bridal bespoke service. After a few years and having started a family I had a restless feeling and felt I needed to go back to study fashion and redirect my career. It was a final move in that if I didn't find a deeper understanding of fashion then I would leave the industry. So I went to London College of Fashion and studied ' beyond being a fashion designer '. This is where I started the process through the research I carried out of becoming this eco-sustainable fashion designer that I am now. In your own works please share what you and your brand are about? Who is your client? Who can wear your clothes? I am an eco-sustainable fashion designer going against the throw away culture to minimize the fashion industry's impact on the environment. I started R3 (Reduce Reuse Recycle) campaign doing workshops, presentations and whole collections to create a better understanding of what goes in the life of a garment. Through my research interests I have realised that 'the history of a garment is just as important as it's future.' This has shaped my journey so far. My client is between 25 yrs to 65yrs + Anyone can wear my clothes but creative people and professionals especially enjoy wearing them. I know you have a strong Eco/Zero Waste focus. Please share why this is so important to you. You are beginning to incorporate more and more bark clothe into your collections. Please talk about what this is important to you and the charity you are working with to plant more of these trees. 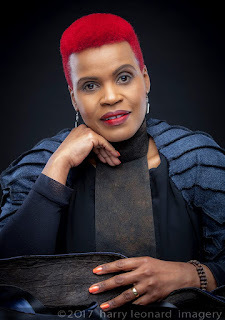 We started the 1 million Mutuba tree planting campaign on October 14, 2016, when we had the exposé of a dress that was designed from the adopted José Hendo Mutuba trees 2nd harvest. It is going on display at the Uganda National Museum this summer. We have currently developed some zero-waste products to sell and a percentage of each sale will go towards planting more trees. It is important to include barkcloth in all my collections as I am trying to bring it back into the forefront of fashion. Barkcloth is one of the oldest cloths made by man. Barkcloth is a 600 year old tradition in Uganda that is recognised by UNESCO as a masterpiece of the oral and intangible heritage of humanity. It is the best ambassador for sustainability because the Mutuba tree from which barkcloth is harvested regenerates a new bark and can be harvested annually for up to 60 years. It is organic and the processing of the barkcloth is all done by hand. Finally, after years of working with barkcloth, I took my work back to Uganda for 1st time last year. Starting the B2TR (BARK TO THE ROOTS) an initiative that is anchored in the ethos of the sustainable development goals, reminding us to preserve both our heritage and environment. For the last three years we are now connected to the BOTFA (Bukomansimbi Organic Tree Farmers Association) one of the communities that has kept the barkcloth tradition alive. We have adopted and planted Mutuba trees (Ficus natalensis) also supporting the community primary school St Aloysius. Reinforcing the importance of the mutuba tree (from which barkcloth is harvested ) to the environment. Please share the inspiration for your inspiration for this specific collection as well as it's palette. Motto Silhouette is a zero waste collection that is transeasonal, covering all seasons through the year. I am using the Japanese meaning of Motto - the origin the foundation the basis the cause. Authentic traditions are mixed with modern designs and simple construction methods. There are futuristic experimental shapes and abstract with unexpected perforations. Materials used include seatbelts, offcuts, organic silk and Hemp, organic barkcloth in hues of blues, greys, black, off-white, dark brown. Your collections always have a strong architectural element. Has this always been a part of your design work? What draws you to this aesthetic? I have always been interested in architecture. It speaks to the artist in me and inspires me. The attention to detail , shapes and forms are what I love because that is what draws me to this aesthetic. Yes it has always been part of my design signature. What would you most like readers to know about you as a designer? As a person away from your work? I am married and a mother of three 1 girl and 2 boys. My family, especially my husband, has supported me on this road. I would not be where I am without my faith and family. I love people and giving back one way or another is really important to me. Another B2TR event happening at the Knitting and Stitching Shows in the UK where together with 3 other people, Passionate About Barkcloth will be presenting our work in barkcloth the title BARKCLOTH REIMAGINED. I will also be working on the a new transeasonal collection.